John Avery is available to teach about many biblical subjects. To find out about inviting him to your church or Christian group please complete the comment form or e-mail him at BibleMaturity at gmail dot com and ask about scheduling. We live in an age when more and more people are detaching their Christianity from the Bible. Yet the Bible remains our only legitimate and objective standard of truth. God’s primary purpose for the Old Testament is to point us to Jesus; the New Testament is based on eyewitness accounts of Jesus’ life, death, and resurrection, and details the implications of those historical events for the Christian life. John is listed as an instructor for the Biblical lessons in the Perspectives Course (Lessons 1-5, Perspectives on the World Christian Movement, US Center for World Missions). He will also share lessons he has learned about writing for Christian readers and the pros and cons of different publishing models. John is available to give brief messages or longer teachings such as weekend seminars and week-long series. 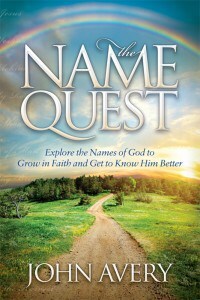 John understands that some groups cannot offer an honorarium, but he would appreciate expenses and an opportunity to sell The Name Quest – explore the names of God to grow in faith and get to know Him better.